There’s a good chance that at some point yesterday, you heard/read that the FCC is considering the possibility of developing free and public Wi-Fi across the entire United States. At first blush, this sounds like a really cool idea. Some people think that the right to internet access should be a universal right — as in part of the Universal Declaration of Human Rights. On my way to campus this morning, I heard Diane Rehm and her panel speaking about this issue. After listening to the broadcast for just a few minutes, it’s easy to see how complicated this issue is. There’s the telecommunications companies that have invested all that money into infrastructure (apparently, over $1 trillion). There’s also the idea of who would pay for the maintenance of the infrastructure if it were no longer in the hands of the private sector (read: tax dollars). I suppose, before we even get that far, is the feasibility of having many people “on the network” at once. One of the panelists was talking about how in some areas, there would be situations where a number of people would have to share 5 mbps. That won’t work. But therein lies the answer. For national Wi-Fi to be a possibility, there’s going to need to be improvement in the technology. 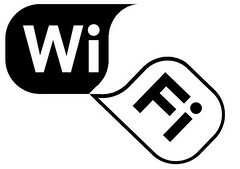 Yes, Wi-Fi capabilities have increased exponentially since its existence, but my sense is that we won’t be using Wi-Fi “forever.” That’s not a bold prediction by any stretch of the imagination, but my guess is that there will be something that comes along that usurps Wi-Fi as the “be-all and end-all” of our internet connectivity. I’m sure this example has been overused, but the best way I can describe it is through TV. Remember when there was analog cable? The bunny ears and all that? Digital cable replaced analog cable as the staple of the way that TV is provided to customers. Right now, we’ve got Wi-Fi. It’s ubiquitous. Just like analog cable was ubiquitous. So, if I had to hazard a guess, I’d say that maybe in the next decade (or two?) we’ll see something that comes along and usurps Wi-Fi as our main way of connecting to the internet. This entry was posted in News, Technology and tagged Analog Cable, bunny ears, Cable TV, Diane Rehm, Digital Cable, FCC, Federal Communications Commission, Internet, Internet access, Internet connectivity, Super Wi-Fi, TV, universal declaration of human rights, Wi-Fi, Wi-Fi Connectivity, World Wide Web. Bookmark the permalink.